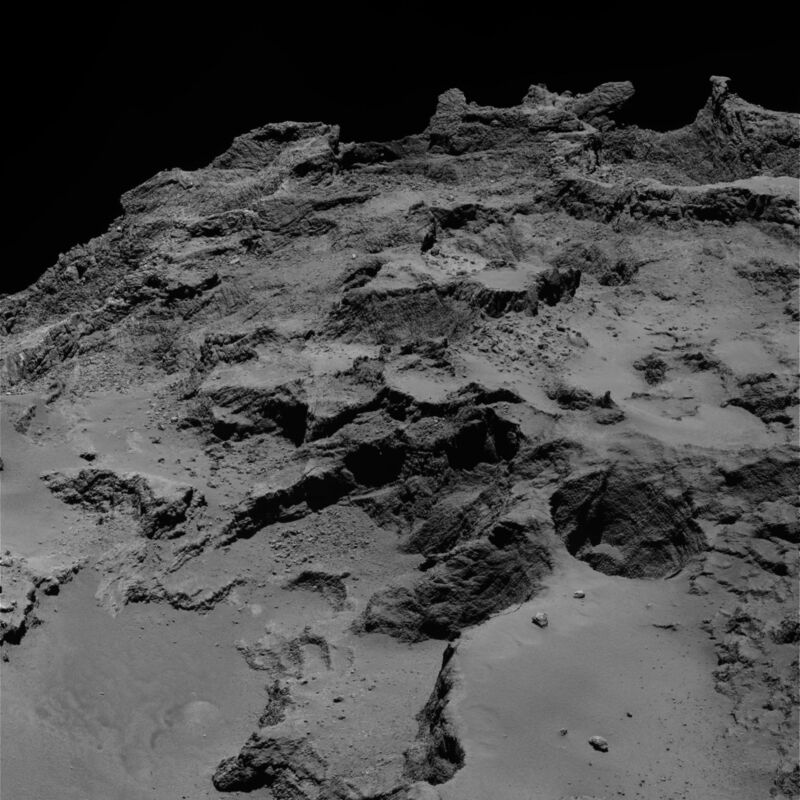 This OSIRIS narrow-angle camera view was captured by Rosetta on 22 September 2014 from a distance of 28 km. It focuses on the irregular, fractured and stratified morphology of the Seth region of the main body. A wide terrace is seen in the foreground with a deep pit revealing the inner layered skeleton of the comet nucleus.